Instead, appreciate the photorealism of Crytek's New York set sequel, which looks a lot like this in-game—provided you have the hardware to make Crysis 2 run this well, of course. 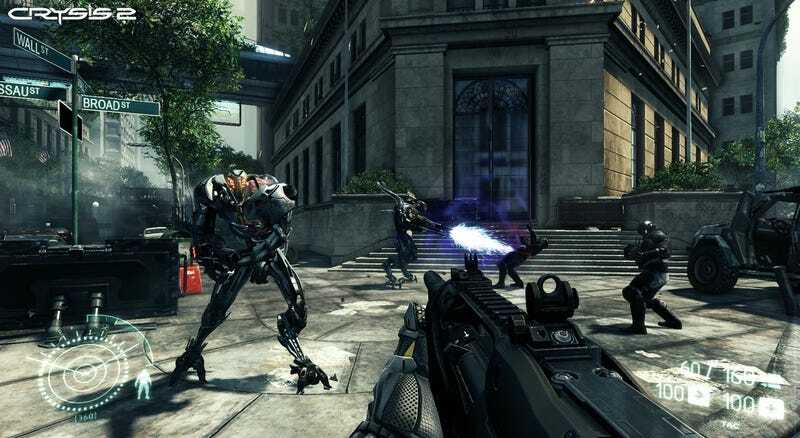 Crysis 2 is suiting up for a release on the PC, Xbox 360 and PlayStation 3 later this year, some time during EA's third quarter. That's between October and December to me and you. Until that time, enjoy not one, but two shots of Crysis 2's urban jungle, which plump when you click 'em.